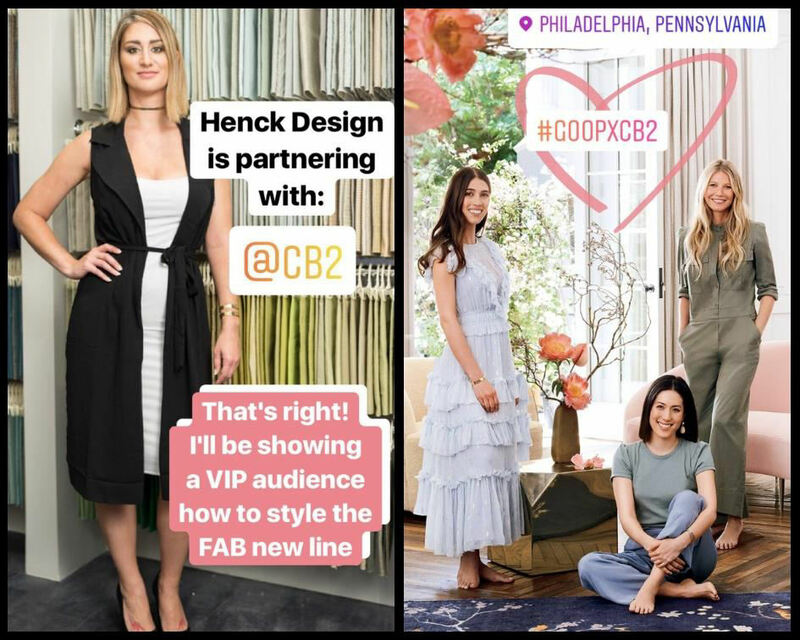 On August 30th, CB2 released a chic new housewares and design collection in collaboration with Gwyneth Paltrow’s “goop” lifestyle brand. Ms. Paltrow was deeply involved in the process and the design focus for the line was “functional elegance”. The line features luxuriously designed furniture, decor, and accessories in some of the season’s most on-trend color palettes. The aesthetic is feminine, soft and decidedly modern-eclectic, with classic touches from different eras across the globe that bring a timeless and romantic feel to nearly every piece. There’s a sprinkle of Parisian, a dash of English cottage, and the influence of chinoiserie throughout. Christina Henck shares her expert design tips! 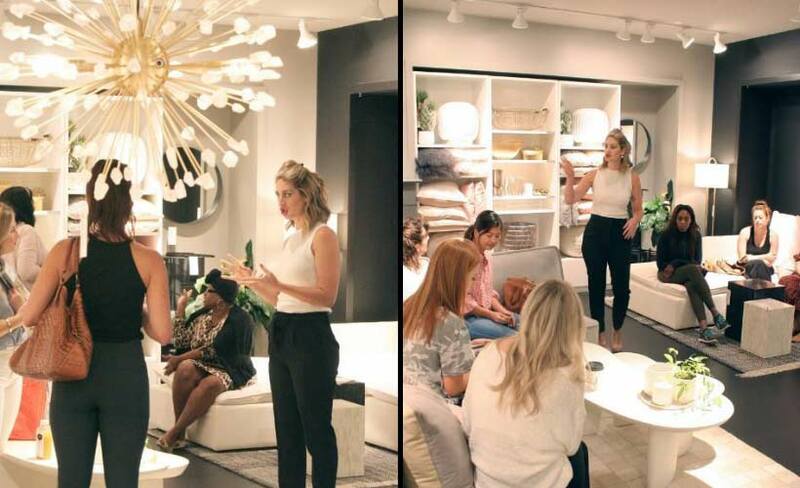 Christina Henck of Henck Design was requested by CB2 to host a private, by invitation only “Wellness Comes Home” event for a select group of VIP clients at CB2’s brand new Rittenhouse location in Philadelphia celebrating the launch of the line. 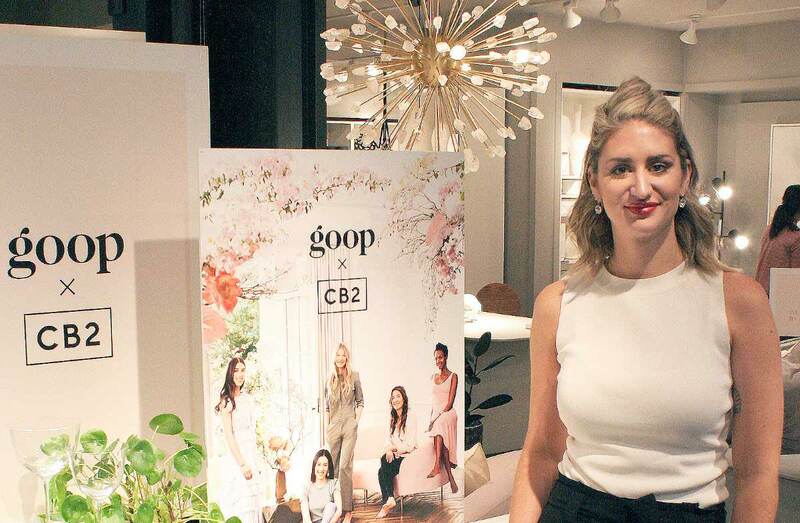 Christina shared her expert interior design tips, including how to incorporate furniture and houseware pieces from goop x cb2 into your home around items you already have or can purchase from CB2. As interior designers, we love how versatile the line is from an interior styling perspective. The pieces fit in seamlessly with CB2’s other decor, and the items can be easily mixed with antiques, mid century modern, or contemporary design styles. The color palette for the line is feminine and soft. 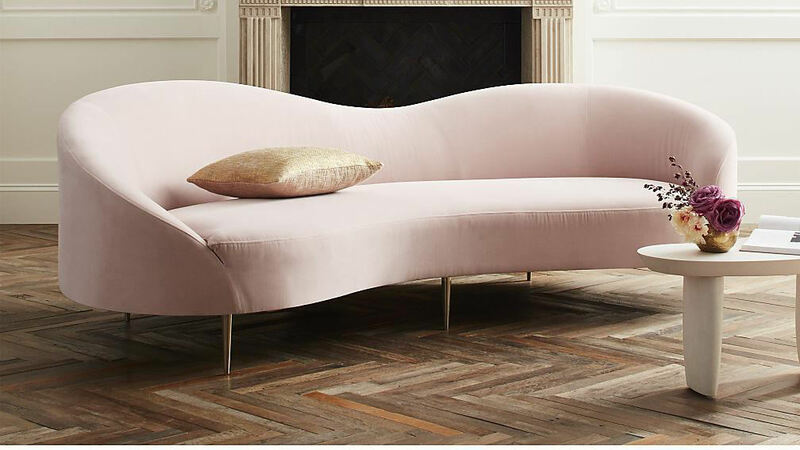 Even the soft pinks can effortlessly function as neutrals when blending these home furnishings and decorative items with other interior design styles and color palettes. Another great thing about the line is how liveable the collection is. The flatware and stemware appear to be made of crystal, but is affordable and meant to be used in everyday entertaining. The modern furniture is exquisitely designed, yet is appropriate for families with children. The soft lines provide safety for kids without typical sharp corners and hard edges. This line has been designed not only with aesthetics in mind, but also with value so customers will certainly get their money’s worth from every beautifully curated piece. Layer textures to add visual interest when using a color palette consisting of neutrals. For example, use leather and shag/fur pillows, and a soft throw to style the couch to create layers. Offset the curves found in this design collection with contrasting structured furniture pieces and modern lines. This will give your interior design context and tell a story of mixed motifs. Add some color and drama with interior plants! Foliage and flowers bring life to indoor spaces and promote calmness as well as wellness. Christina mentioned in her presentation that bringing the outdoors into urban spaces is especially important for her clients. Use the colors found in the goop collection as neutrals and pair with more saturated hues if you’re looking for more flair. Try pairing with navy to bring a classic touch of masculine color palette to your interior’s space.